This missile technology gap has been explored in detail by, among others, Dimitry Orlov and Andrei Martyanov. Trumps announced withdrawal from the INF might therefore be seen as a partial response to Putin’s speech because the United States wishes to develop the very weapons banned under the INF and place them in Europe where the shorter range to European targets greatly reduces the reaction time available. The proximity of these weapons creates an existential threat to Russia. That such a policy is neither welcomed by most European nations, who become obvious targets wherever United States forces are stationed, nor realistic, as these consequences appear not to penetrate United States strategic thinking. Alternatively, they do know but simply do not care, an argument advanced by Orlov (op cit.) who suggests that the Europeans will come to realize that good relations with Russia and China will be seen as an asset, whereas the US (not least for its hubris and disregard for European interests) will be seen as a liability. Orlov sees that US abandonment of the INF as a route to Eurasia being protected by the Russian nuclear umbrella, with China’s Belt and Road Initiative being the glue that holds things together. Russia’s missile capabilities, on land, at sea and in the air are our such that any US attack will result in an immediate and devastating retaliation. As the more realistic US strategists acknowledge, the United States has no effective means of defence. Trump’s announcement therefore must have other objectives beyond of the abandonment of yet another treaty obligation. One can put aside his reported wish to meet with Russia and China “in a great big beautiful room” and negotiate a new treaty. Trump is reported as saying (Washington Post 5 February 2019) “that we’ll build it (the missile system) up until China and Russia come to their senses.” The detachment from reality could not be clearer. The real motives behind the American announcement have more to do with the United States wishing to be in a position to challenge China from its military bases (Guam, Japan, and South Korea). All of those countries lie within the range available to the intermediate range category of nuclear missiles currently banned under the INF treaty. As the Rand Report of 2016 “War with China: Thinking Through the Unthinkable” pointed out, China’s non-membership of the INF gave China a significant advantage. But the United States is making the same mistake with regards to China that it continues to make in respect of Russia. 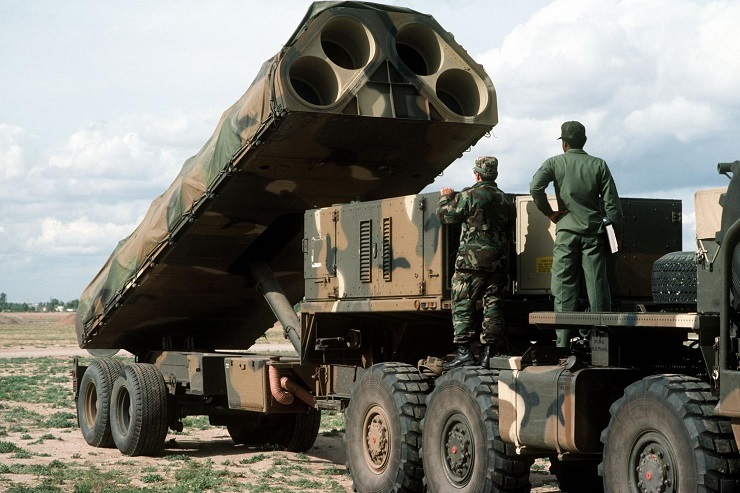 While it is likely that the Chinese do not have, yet, the same defensive missile capabilities as Russia, they have certainly developed an offensive capability with, inter alia, the Dong Feng category of missiles that have the capability of not only destroying the US carrier based fleets anywhere within a 1500 km range from Chinese territory, but can also deliver a devastating intercontinental nuclear response. It would also be extraordinary naïve to believe that an attack by the United States on either Russia or China would not be seen by the other as an existential threat to their own existence and retaliate accordingly. The American inability to heed the advice of both Kissinger and Brzezinski to avoid the situation whereby Russia and China become strategic partners is further evidence of the flaws in US policy. At root therefore in the US worldview is the inability to see, and a denial of the fact, that a fundamental shift in the balance of power in the world has taken and is taking place. Insofar as they do recognise the challenges that exist to their earlier hegemony, the response has been to resist and challenge it. Decades of colour revolutions, trade wars, sanctions, hybrid warfare and at the extreme (as in Afghanistan, Iraq and Syria) all out invasion and occupation, are to be seen in this light. The unipolar world run by the United States for its own benefit and profit is, as Mr Putin said in 2007, “not only unacceptable but impossible.” The actions/reactions described above are also reflective of Putin’s statement regarding the US’s disdain for international law and acting outside its boundaries in every sense of the word. It is these delusions that perhaps pose the greatest danger. Unless the message clearly given on more than one occasion by Mr Putin and others finally sinks in, the risk of a nuclear war will increase, not diminish. Turning the world into a radioactive wasteland is too high a price to pay for the Americans to learn that lesson. James O’Neill, an Australian-based Barrister at Law and geopolitical analyst, exclusively for the online magazine “New Eastern Outlook”.